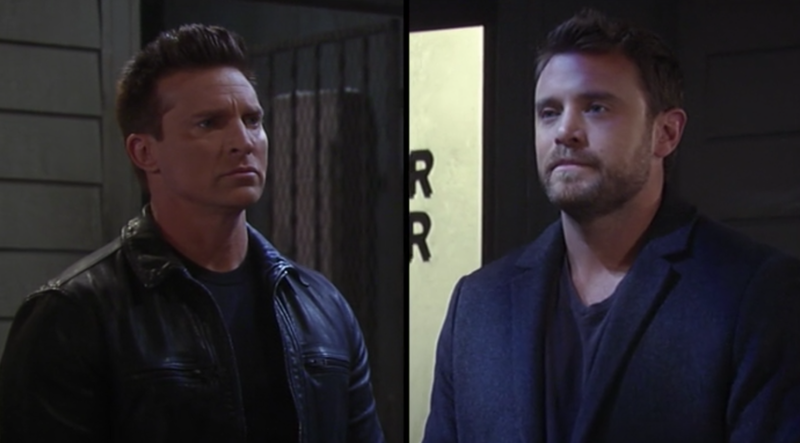 Drew accuses Jason of leaving Sam alone because Sonny always comes first. He mentions how Sam tried to kill Sonny in order to break the hold over him. Drew says he chose Sam and their family, and everything was fine until Jason came back. Jason claims Drew treats Sam like he owns her and makes her unhappy. Drew counters he has all of Jason&apos;s memories and remembers all the times that Jason hurt Sam. The two get into a fight. Curtis heads over to check on Sam after his talk with Drew. Sam says she feels guilty over the choices she made. Sam admits she knew all along who Jason was. She didn&apos;t want Drew to lose everything they built together. Sam has decided she needs to be honest, even if it means losing both men. Curtis tells her that Drew will be staying at his place, so Sam collects some of his belongings for Curtis to take. Sam gets a call that Drew is in custody, and charged with assault, battery, and disturbing the peace. Betsy&apos;s taken to the PCPD to talk about Jim, but she&apos;s more concerned about Franco. She wants the chance to tell him the truth. Jordan calls in Kevin to talk to her. Kevin makes the decision to admit Betsy to the hospital for shock. Franco anxiously waits to see his mother in hopes that she&apos;ll tell him what happened all those years ago. Liz wonders if the answers will lead to more questions, secrets, and lies. Liz accuses Franco of not opening up to her and trusting her. Franco counters that he thought he was protecting her. Maxie wants Peter&apos;s help with the baby&apos;s trust fund. He tries to get her to confide in Nina, but Maxie points out that he&apos;s the money man and specifically wants his help. Maxie mentions that Georgie is in town and they are moving back to the apartment while she&apos;s here. Nina heads over to speak with Peter. She overhears him on the phone making a money transfer and is suspicious when he quickly hangs up. She tells him about the town meeting to rebuild the city and Peter agrees to help. Nina again warns Peter away from Maxie, telling him to let Maxie lean on her family right now. Maxie goes back to Peter and tells him that she doesn&apos;t want to move back to the apartment with Georgie. Peter reassures her. Nina complains to Valentin that something is up with Peter. Nina spots Maxie and Peter picking up take out and gets angry. She wants to tell Peter to back off again. Valentin points out that Maxie is leaning on Peter and won&apos;t be happy with her interference. Franco heads to the hospital to speak with his mother, but she&apos;s suddenly not in the mood to talk. Sam pays the fine so Drew is released. Curtis tells Drew that he&apos;s staying with him. Jordan warns Drew not to let it happen again. 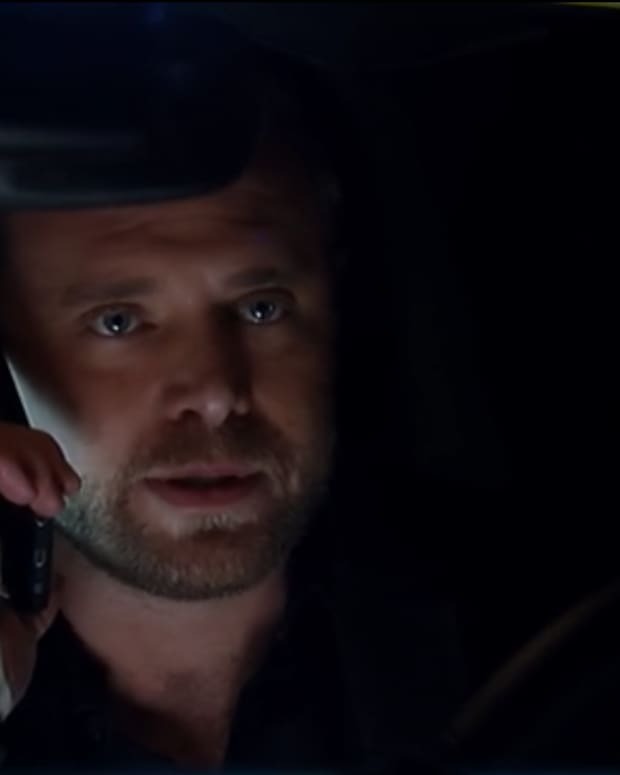 After Drew leaves, Jason is released and runs into Sam. Oh boy, I hope we get multiple days of sad eyes from both of them.